I'll write a simple and easy code that you can run to lock your pc's screen. 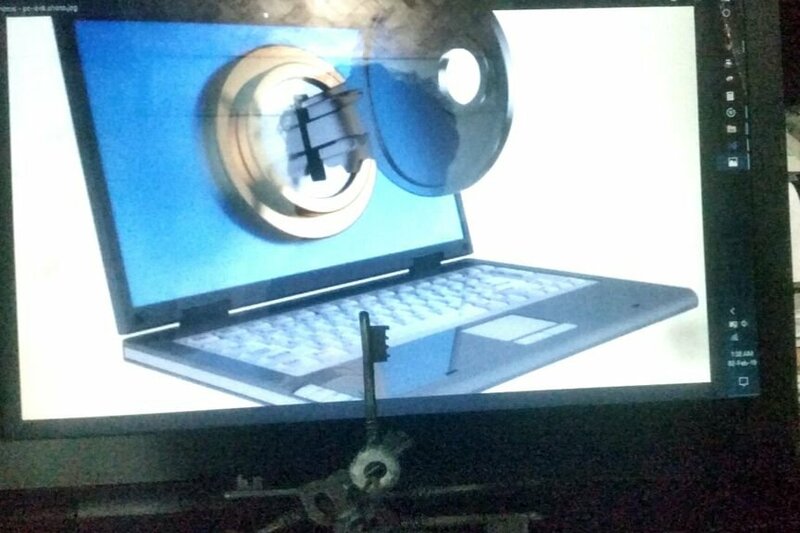 How can you lock your Computer screen?? Simple way is to press the 'windows' + 'l' combination key. And there's a lot of other ways out there. Turned out python has a library called pyautogui which is very powerful and yet easy to use. pyautogui works both for pyton2 and python3. So today I'll write a simple and easy code that you can run to lock your pc's screen. You might also insert those few lines in your code to make an option to lock the pc. Update: I already have started working on this project ChikonEye find it - https://github.com/ashraf-minhaj/ChikonEye_a-third-eye-app-which-protects-your-work-from-peepers. 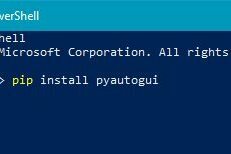 If no error shows then congrats you have successfully installed pyautogui. First of all you'll need to install python. I assume you already have the latest version of python which is python3.7.1 by now. If not, there's a lot of tutorial out there, just google it. Then some hodgepodge writings will come and then type python on your prompt and hit 'ENTER'. Then import pyautogui library (see image 2). That's it now run the code. You can use an editor to edit the code as you want or can run it by command prompt or powershell ( see picture 1). Remember the path where you have saved the code (picture 2). Although we can just lock our pc by keyboard combo WIN + L but for some reason that doesn't work using pyautogui. But pyautogui can write, click etc. I took advantage of that. 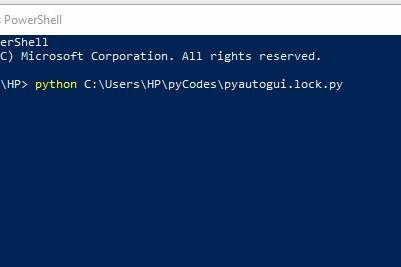 If we type "rundll32.exe user32.dll, LockWorkStation" in the command prompt or powershell then it will lock the pc too. So I wrote the code so when you run the code it opens cmd (command prompt) then types that line and hits 'ENTER'. I used the sleep function to wait for some mili seconds so that the code does't run too faster than the system. So run the code and see the magic. It actually ain't any magic as you know what it does but it seems pretty "osthir" (cool).I'll make codes to lock screen if some1 elses face is detected in the next. Stay tuned and pray for me. Thanks a lot.